Shiga Kogen is a cosy ski resort nestled in the heart of the Joshinetsu National Park in Nagano Prefecture, Japan. Famous for its grand scale, ranging ski terrain, amazing panoramic views, and powder quality snow, Shiga Kogen is the ultimate destination for the keen skier and snowboarder who is in search of the best powder snow. As a host of 1998 Nagano Winter Olympic Giant Slalom and Paralympic events, there is no denying that Shiga Kogen is a world class ski resort. Consisting of 21 ski fields and about 70 lifts, gondolas, ropeways and tows, Shiga Kogen is by far the largest ski resort in Japan. 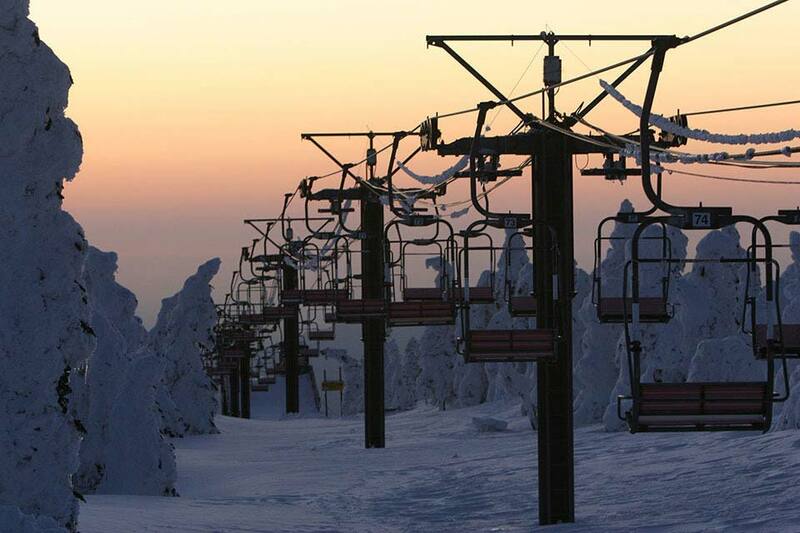 One lift ticket allows you to ride on all of the 71 lifts, gondolas and ropeways. Owing to this multi purpose ticket, you can take the Shiga Kogen shuttle buses running between the interconnected slopes as well. The appeal of Shiga Kogen is not only skiing but also many places worth visiting, such as hot springs, a museum, a memorial hall and a scenic park. If you go a little further, you will arrive at a temple and a castle and this gives you a chance to learn something about the history. 3) Shiga Kogen Prince Hotel - East Wing.